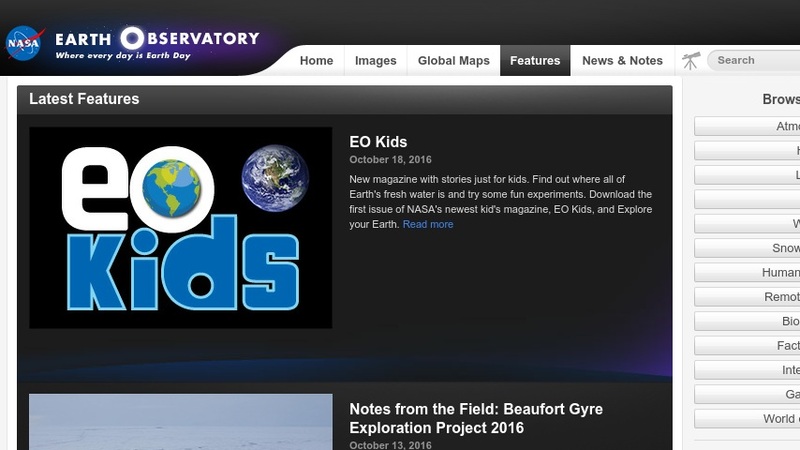 This page is part of NASA's Earth Observatory website. It features text and a scientific illustration to describe how the ocean interacts with the atmosphere, physically exchanging heat, water, and momentum. It also includes links to related data sets, other ocean fact sheets, and relevant satellite missions.